$100 and it requires charging. Are you convinced this is better than a plastic stylus and a well designed OS interface? Or does charging (both monetarily and electrically) for yet another Apple device really make a positive difference to the consumer? Because of limited battery life, you already need to worry about a charger for your Apple iPhone, Apple watch and new iPad Pro. Does this new stylus accessory really need to be a chargeable device too? Samsung have demonstrated how well a simple plastic stylus may work on their Note models, particularly on the new Note 5. Although there has been some controversy caused by the design flaw in this new device. As the Note 5, unlike previous Note models, allows the stylus to be inserted accidentally the wrong way around. This may leave the stylus stuck and wedged into the device when stowed for storage. This is certainly a practical design flaw. But in terms of how easy the stylus is to use on screen, this non-powered stylus and OS work well together. 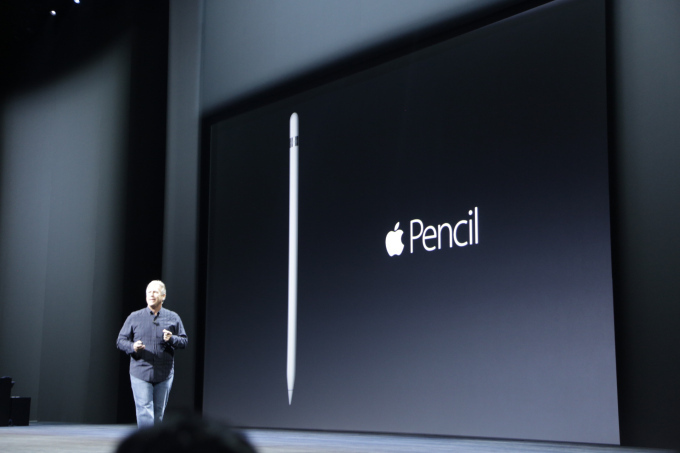 Leaving me currently unconvinced by the Apple Pencil’s powered implementation.